The son's return to the northern shore he abandoned as a young man promises the chance to heal the rift. But is it too late? 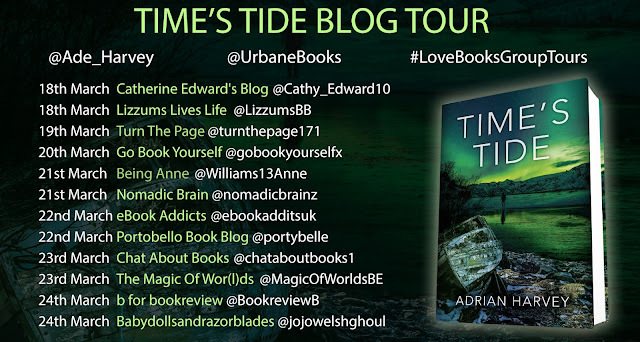 Time's Tide is a compelling and beautifully written story of loss, belonging and the silence between fathers and sons. Inspiration comes from many places. You’re never sure where, or when, or even whether, it’s going to appear, so the trick is to be ready, vigilant. But you can go looking for inspiration: personally, I’m fascinated by places and the stories that emerge from them, so simply being in new places, ready to listen, is sometimes enough. About seven years ago, I was in the far north west of Iceland. I love Iceland and have been there several times, most often to walk in its sparse, stark landscape. I’d found my way to Isafjordur in the West Fjords because someone on another trip had mentioned a place called Hornstrandir. The walking was supposed to be spectacular, the landscape too. So I’d made it this far, intent upon a recognisance trip ahead of a possible longer trip. I took a little boat early one morning out of Isafjordur, headed towards Hesteyri, the ghost of the largest settlement on Hornstrandir. Ghost because the whole population had voted to abandon the peninsula in the early 1950s. There is no permanent human habitation and visits are only allowed during the short two months of summer. All of this I knew from the guide book and the internet. But on the boat heading across the great bay, I got talking to the young Icelander who was our guide for the excursion. Her family had lived in Hesteyri, and her grandfather had left with the others in the fifties. He’d had a cow and, once across the bay, that cow wouldn’t milk, so he had taken the beast back across a couple of summers later and, sure enough the cow gave milk. A couple of years later, that story of a homesick cow became the starting point for my latest novel, Time’s Tide. Between that short seaborne conversation and sitting down to start writing in north London, the story had become one of the relationships between a father and son, the guilt of leaving and the powerful pull of place. But its roots run back to a sunny day on the edge of the Arctic and the story of a cow. Since escaping the East Midlands to find his fortune in the big city, Adrian Harvey has combined a career in and around government with trying to see as much of the world as he can. He lives in North London, which he believes to be the finest corner of the world’s greatest city. His debut novel, Being Someone, was selected for WHS Fresh Talent, and he followed it with the acclaimed Cursing Stone in 2017.